YOUR LONDON CITY PILLOW GIFT IS RIGHT HERE. 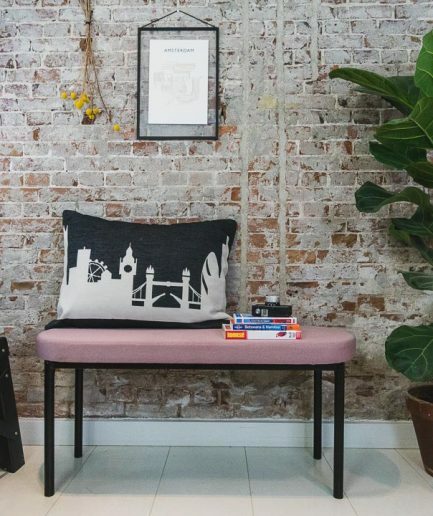 The London City Pillow is a perfect housewarming gift for urban nomads, cosmopolitans as well as friends who have left and friends who stayed back home…and of course for your own pleasure. Actually an ideal gift for anyone who has been thrilled by this amazing city. 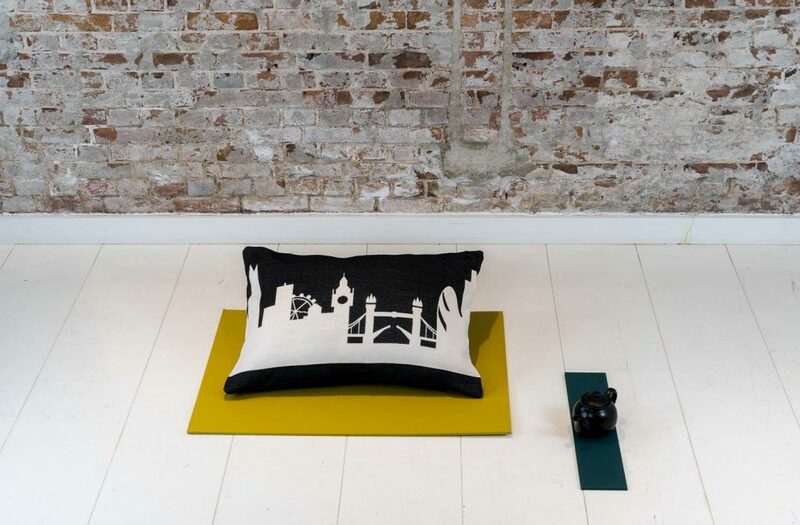 THE PROUD ARCHITECTURAL HISTORY IS THE SOURCE OF INSPIRATION FOR THE LONDON CITY PILLOW DESIGN. 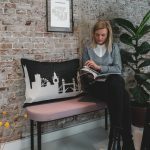 For London lovers we created the London City Pillow inspired by the The Shard, The heron Tower, The London Eye, Big Ben, The Tower Bridge, 30th St Mary Axe and the Leadenhall building. 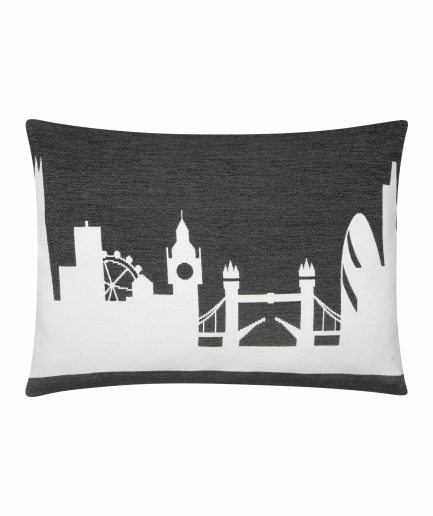 Who would not love to have a London City Pillow at home? The sophistication of British homes is rooted in a proud architectural history. One of the main features of British interior design is that it mixes old and new, traditional and modern. 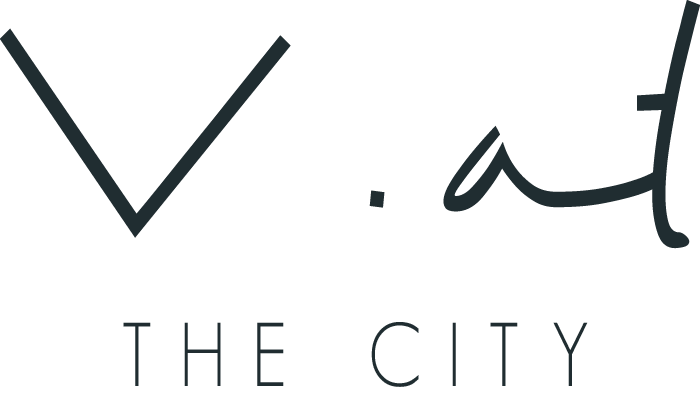 At V. at The City we also love combining contemporary design with traditional craftsmanship. Would you like to bring quirkiness, comfort and cosiness into your home? 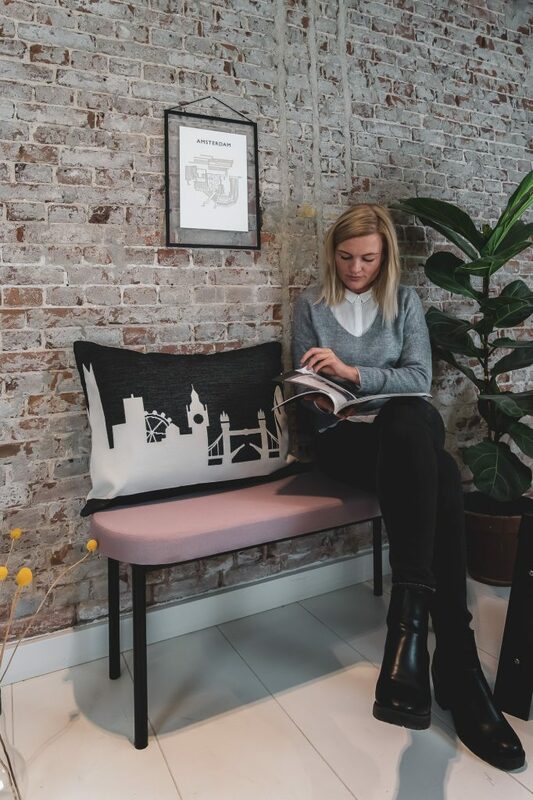 Shop your modern style London City Pillow now and they will be the focus of attention on your sofa, bed or wherever else you might want to sit and snuggle up. Because home is where your pillow is. So if you love London, take it home. Berlin, Amsterdam, New York, Paris, Rotterdam, Zurich, Copenhagen, Rome.